For details of our 2018 Laughter Wellbeing Conference and Joy Festival click here. We have three levels of laughter training: Basic training for people who want to know how to do it at home. Intermediate training for people who want to run laughter yoga groups. Teacher training for people who want to run groups and teach other people how to run groups. 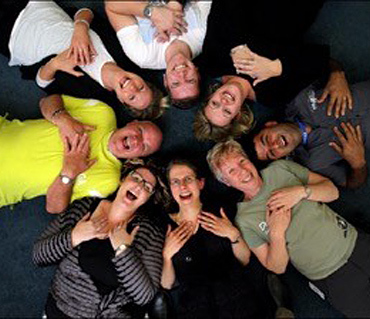 When you book a Laughter Yoga workshop for your business, workplace, school or organisation, Laughter Yoga Australia delivers a unique tailored experience. There is no ‘standard’ workshop. We deliver what will meet client needs. Who is Laughter Yoga For? The techniques of Laughter Yoga can be tweaked to make a session relevant and accessible for any group — whether aged 5 or 105. We regularly run groups for: workplaces, schools, aged care centre, health professionals, disability support services, and carers. Research has shown that laughter yoga has far-ranging benefits. For individuals the benefits are to physical health, mental health and social wellbeing. Businesses and organisations that support Laughter Yoga create happier, healthier hubs of humanity. Laughter Yoga has far-ranging benefits in the areas of: social wellbeing, and physical and psychological health. For individuals, Laughter Yoga’s benefits can be life-changing. 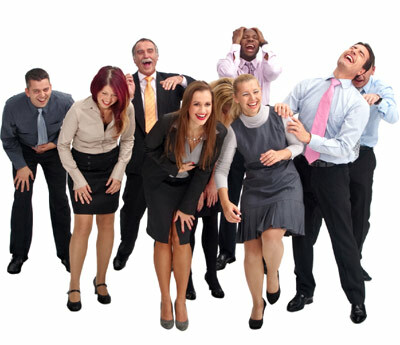 Businesses and organisations that support Laughter Yoga create happier, healthier hubs of humanity. 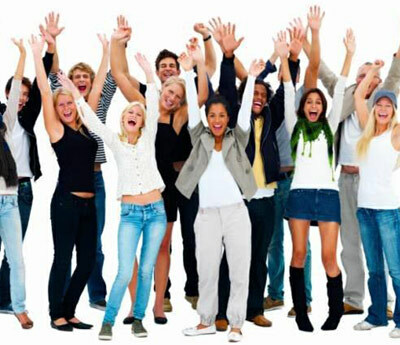 Laughter Yoga has the power to change your mood within minutes by releasing ‘happy hormones’ called endorphins. You feel the benefits from the very first session. The playfulness of Laughter Yoga also can help reset your outlook on life. Through Laughter Yoga, you can learn to cope better with negative situations, difficult people or upsetting circumstances.